On December 18, 1499, the Muslims in Granada revolted against the Christian city government’s attempts to suppress their rights to live and worship as followers of Islam. Although the Granada riot was a local phenomenon that was soon contained, subsequent widespread rebellion provided the Christian government with an excuse—or justification, as its leaders saw things—to embark on the systematic elimination of the Islamic presence from Spain, as well as from the Iberian Peninsula as a whole, over the next hundred years. Retold in all its complexity and poignancy, this tale of religious intolerance, political maneuvering, and ethnic cleansing resonates with many modern concerns. 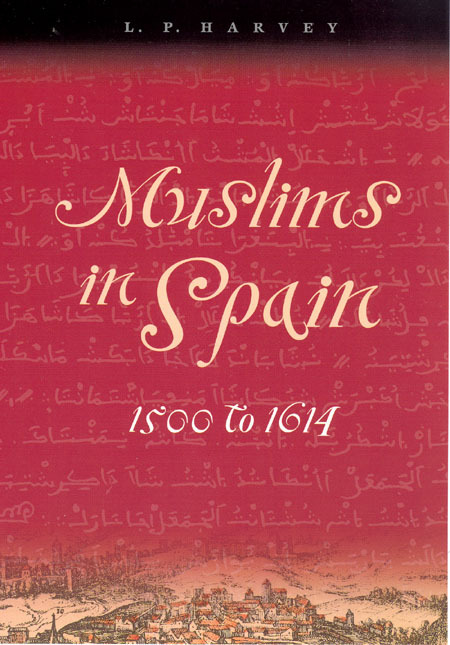 Eagerly awaited by Islamist and Hispanist scholars since Harvey’s first volume appeared in 1990, Muslims in Spain, 1500 to 1614, will be compulsory reading for student and specialist alike. "L. P. Harvey’s important new book, Muslims in Spain: 1500 to 1614, soberly recounts the ways in which Muslim culture and religion, which had been part of Spanish life for eight centuries, was forcibly suppressed, until Muslims were completely expelled from Spain, between 1609 and 1614. There was much trauma and bloodshed, much secrecy and much dissimulation." "This is a book we all have been waiting for. . . . This learned and judicious book makes [us familiar] with the final phase of nearly a thousand years of Islam in Spain—a presence whose power to provoke controversy requires more than ever concerted efforts and historical understanding." "In this learned and sensitive book, L.P. Harvey . . . brings the history of Islamic Spain down to its heartbreaking final chapter. . . . Painful as it is to read, this is a history not to be forgotten." "Written in clear and precise language, which often addresses the non-specialist, Harvey’s solid book answers many important questions." "The product of decades of scholarship by one of the world’s leading authorities on Morisco culture, this book offers an engaging and insightful treatment of the history and culture of the Moriscos." "Harvey’s outstanding study will be of interest both to researchers and to the general student for its sensitive recreation of the last phase of Moorish Spain." "This is a very well-informed book which offers not only the Christian or the Spanish point of view but also provides insight into the Muslims’ point of view of the process; it will serve well any scholar or lay-person interested in learning about and de-mystifying what happened to the Muslims of Spain." "Harvey’s deep understanding of the Moriscos and their world offers a great deal--not only to scholars of early modern Spain and the Muslim world but also to a growing audience of anglophone readers interested in the encounter between Islam and Chrtistianity, and the complicated relations between religious and cultural minorities and majorities."